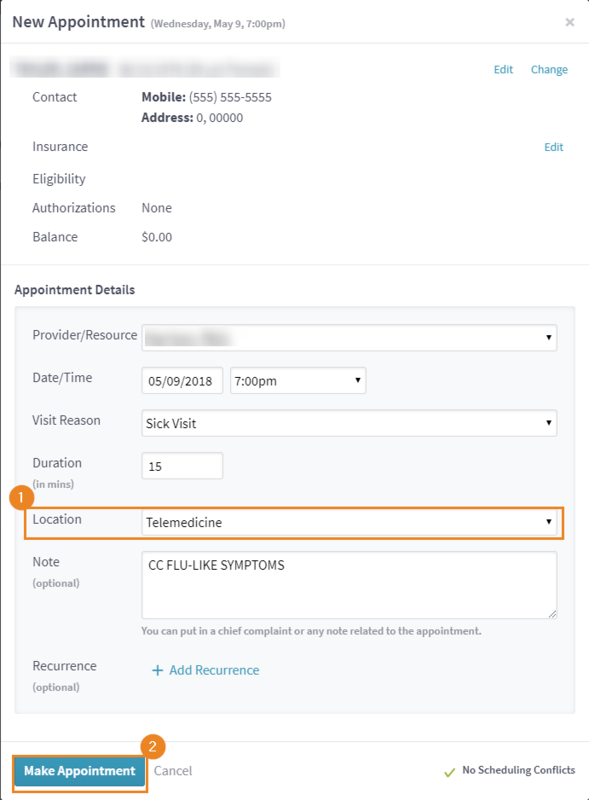 Now that you've created your telemedicine service location, it's time to schedule a telemedicine appointment in Kareo! Click the Kareo logo in the top left, then click "Calendar". Using the date picker at the top, find the date that you wish to schedule. 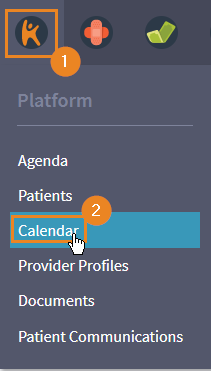 In the provider's row, double-click the time you wish to schedule. Verify the Provider/Resource name and the Date/Time. Select an applicable Visit Reason. Choose the Location as Telemedicine. Enter in any applicable notes and click "Make Appointment".